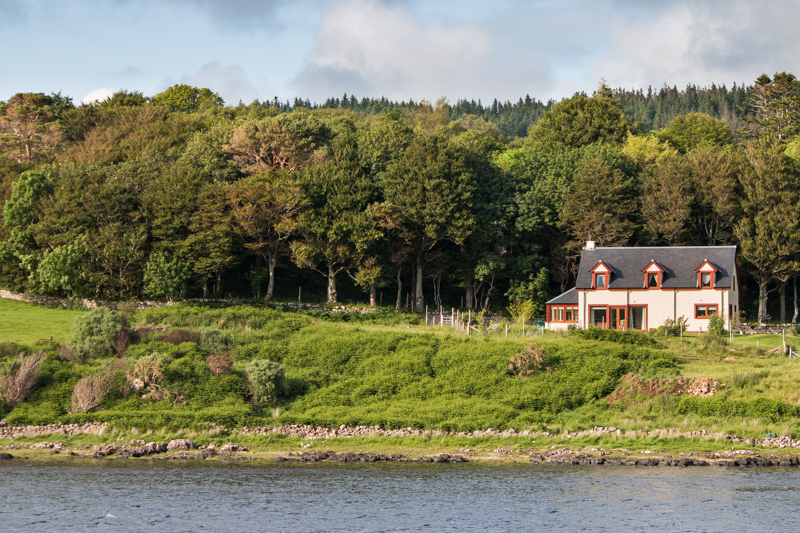 This spacious and modern property sleeps seven and has a fantastic position overlooking Loch Cuin in Dervaig on Mull’s north coast. Local artworks and quality furnishings make a stay here most enjoyable. From the house you can walk into the village where there is a well stocked shop and an Inn that serves food. Wildlife is abundant and otters can be seen on the Loch. Calgary beach is a short drive away and the journey can be continues along the scenic north west coast of Mull.